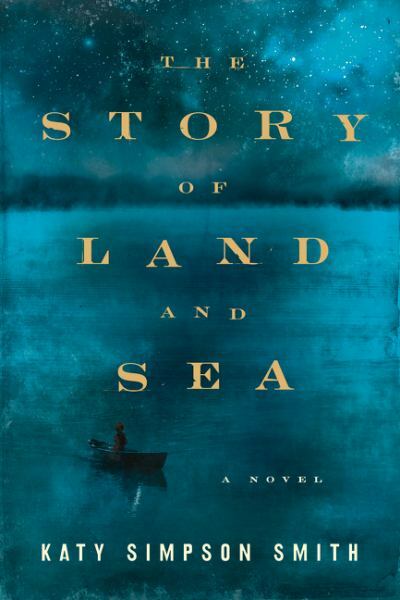 THE STORY OF LAND AND SEA is set during the waning years of the Revolutionary War and follows three generations of parent and child as they grapple with kidnapping and slavery. 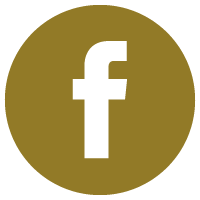 This is a brilliant debut novel that has received nationwide acclaim. 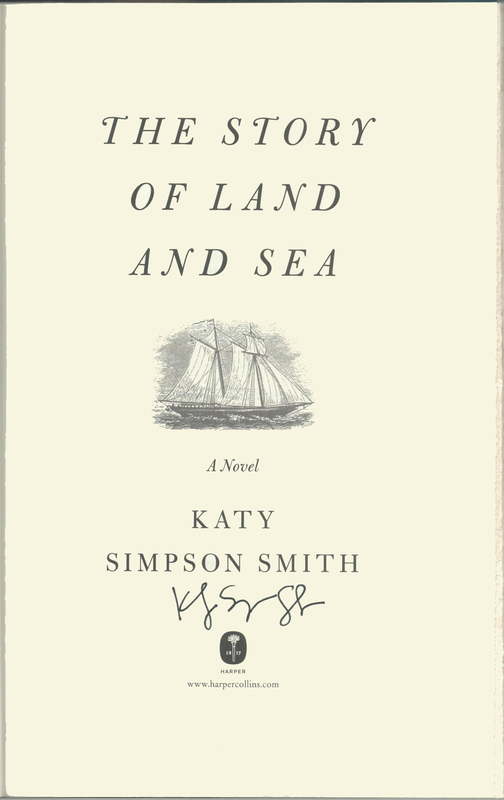 THIS COPY (shown below) was signed on the title page by Katy Simpson Smith at the store. It is a new, unread first edition opened only for signing. 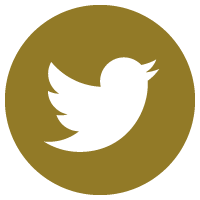 Published in August, 2014 by Harper, an imprint of HarperCollins. 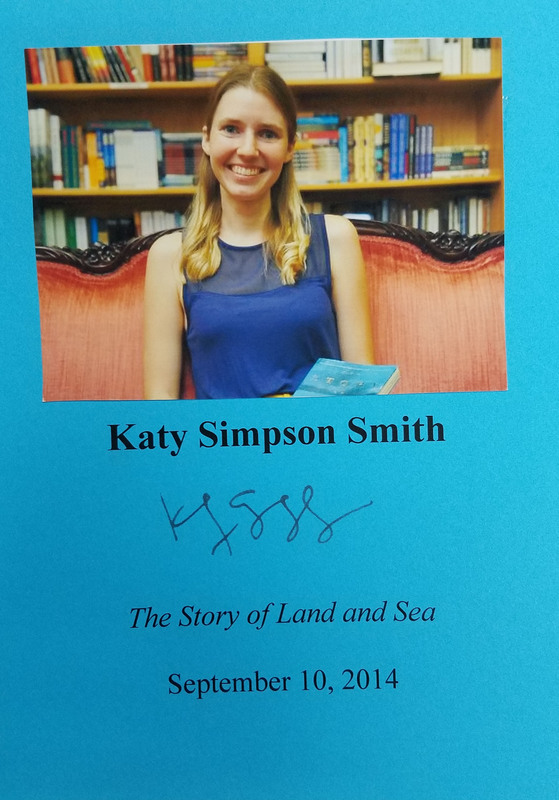 KATY SIMPSON SMITH (pictured below from our Wall of Fame) is the author of two highly acclaimed works of historical fiction. Thank you Katy Simpson Smith for signing our books.